An alternate program at Ecole Westlock Elementary School is French Immersion. 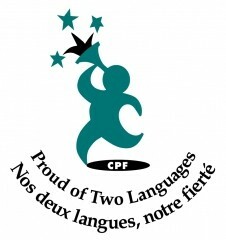 The goal of a long term French Immersion Program is functional fluency in written and oral French. Students learn the same curriculum in math, science, social, and health as English students but are taught in French. Instruction in English language arts begins in Grade 3. September 27th-All French Immersion students from k-6 will be celebrating ‘Epluchette de ble d’Inde which is a French Canadian tradition. Please make sure your child is dressed appropriately as they are outside for most of the afternoon (weather permitting). Looking for 2-3 volunteers to help facilitate rotation through centers. Please let your classroom teacher know if you are available to help. December 18th (1pm-2pm)-K-6 French Immersion Fun Swim. Mme Gottschalk will need a few volunteers to swim with the K class. Please contact her closer to the date if you are willing to help.